This week, we set up our chick-u-bator. The children have been very curious about those eggs sitting there. "I wonder what is inside those eggs? Could they be alligators? turtles? turkeys? baby birds? chickens?" After observing and talking about them, Dane and I told the children that we brought the chicken eggs from my parent's farm this past weekend. We keep talking about what Farmer Ricky had to say to teach us how to take care of the eggs. It is very important to keep the eggs warm. Hens keep them warm by sitting on them. We decided that the eggs would probably crack if we tried to sit on them, so we are using an incubator instead. We need to make sure the eggs stay between 98 and 102 degrees. 100 degrees is the optimum temperature, but Farmer Ricky says that if the eggs are kept a little bit cooler it will take longer for them to hatch. If they are kept a little bit warmer, they will hatch sooner. Farmer Ricky also told us to turn the eggs three times a day. As you can see, we have a list put on the wall near our eggs to help us remember when to turn them. We marked the eggs with X on one side and O on the other to help us make sure we are turning them and to see if the eggs have been turned all the way. It is important to turn them to keep the yolk from attaching to the side of the egg and to exercise the chick. Don't worry, I'll post another update when we actually have something to share from our candling observations. 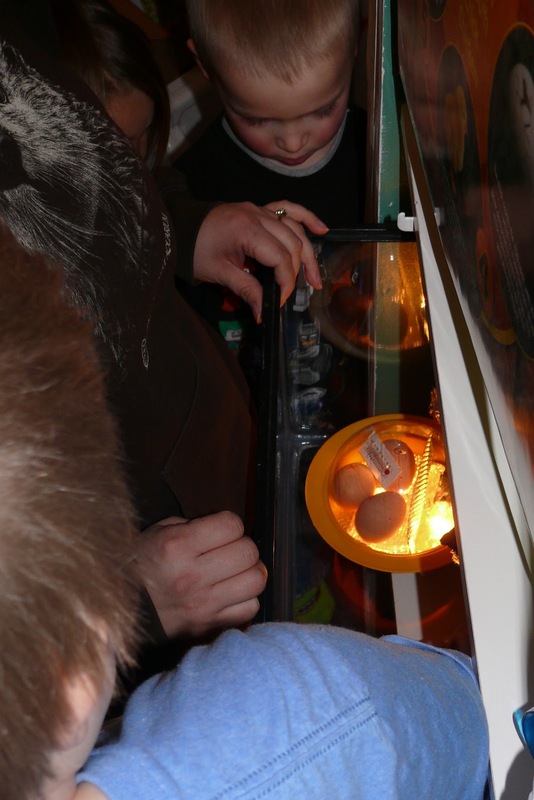 If you are going to hatch eggs, it is definitely worth candling them to provide more observation opportunities to the children as the eggs start to develop. 21 days is a long time (approximately for chickens) for children to just watch and turn eggs! As you can see, our incubator is not very big or very "high tech." This version called a "chick-u-bator" was most appealing to me because of the clear dome lid. Many incubators have a very small observation window, and I wanted to make sure that the children had an opportunity to all observe all of the events as they happen. My friend Carol (who also runs a home daycare) is also hatching eggs right now, and she had the great idea of putting the incubator in a glass aquarium. This provides additional safety for the eggs and it also helps to keep the temperature up. As you can see, we have a few eggs sitting outside of the incubator. Farmer Ricky said that if we find out that some of our eggs are not developing, we will be able to place these eggs in the incubator as long as we continue to turn them at least once a day. We are turning all of the eggs three times a day. We will be updating you on our observations as the chicks begin to develop. Have you have ever wondered what it would take to raise chickens? Do you dream of fresh eggs from your backyard? Learn what it takes to make that dream come true from people with experience. A panel of community members, each with different flock sizes, will share their knowledge about raising poultry. A representative from the City Planning Commission will also be on hand to answer questions about chickens in the city. Where: Marquette Arts and Culture Center, in the basement of the Peter White Public Library. This is incredible! 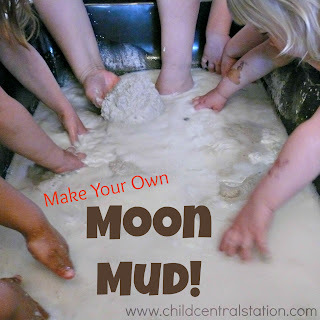 What an amazing experience for the kiddos. I cannot wait to see pictures when you can see something inside those eggs. Did not know you had to turn the eggs! Newest follower from the Friday Blog Hop!